Neil Young in Concert in Barcelona! Neil Young + Promise Of The Real will delight us with themes of The Monsanto Years at Poble Espanyol in Barcelona next 20th June! Of course, not the only. 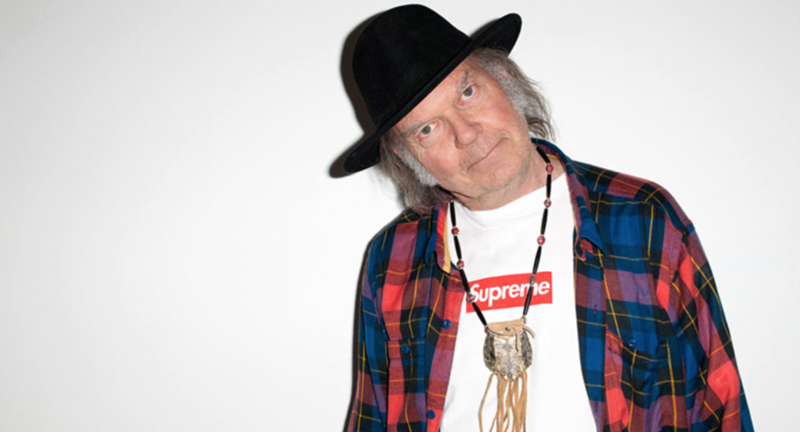 Neil Young always returns to his classics and the setlist of this tour includes legends such as Old Man, Out On The Weekend, Everybody Knows This Is Nowhere, After The Gold Rush and Harvest Moon. 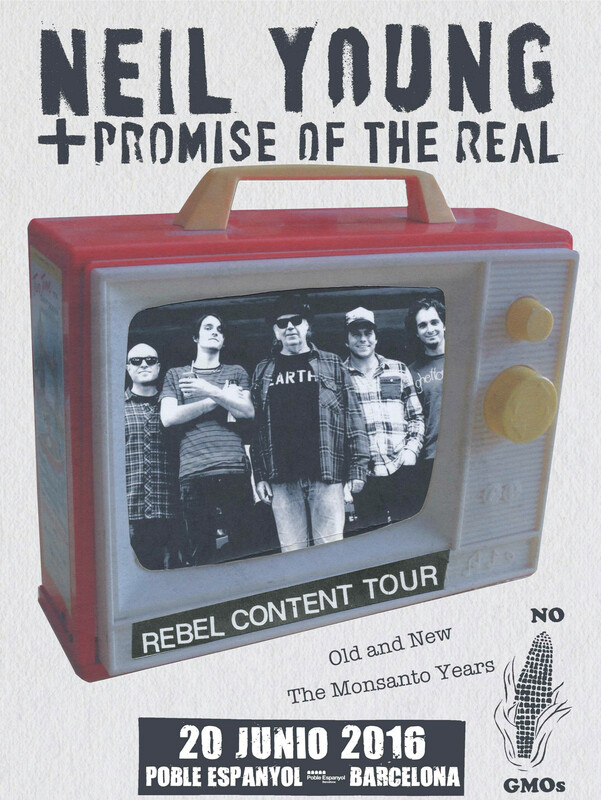 Last year, Neil Young joined “Promise Of The Real”, the band lead by Lukas Nelson, son of Willie Nelson, to edit his 36th album: The Monsanto Years. Within these lyrics Young sends out an open and direct criticism to the business of agriculture and transgenic industry. Monsanto is the world’s leading genetic engineering of seeds and development of herbicides, which since its inception nearly a century ago, has continued to create controversy attached to the safety, health and ethics of their products. Since childhood, Young has lived closely the problems of American farmers and has a special sensitivity towards everything related to them. He usually participates in the ‘Farm Aid’ program, which organizes an annual benefit concert to help farmers at risk of exclusion. His career has always been linked to its political character – his lyrics have a clear anti-war content, anti-system and peace and freedom. That is how he aims to be remembered someday. What else is there to it? Every facet of his multi-coloured and sprawling career leaves nobody indifferent. 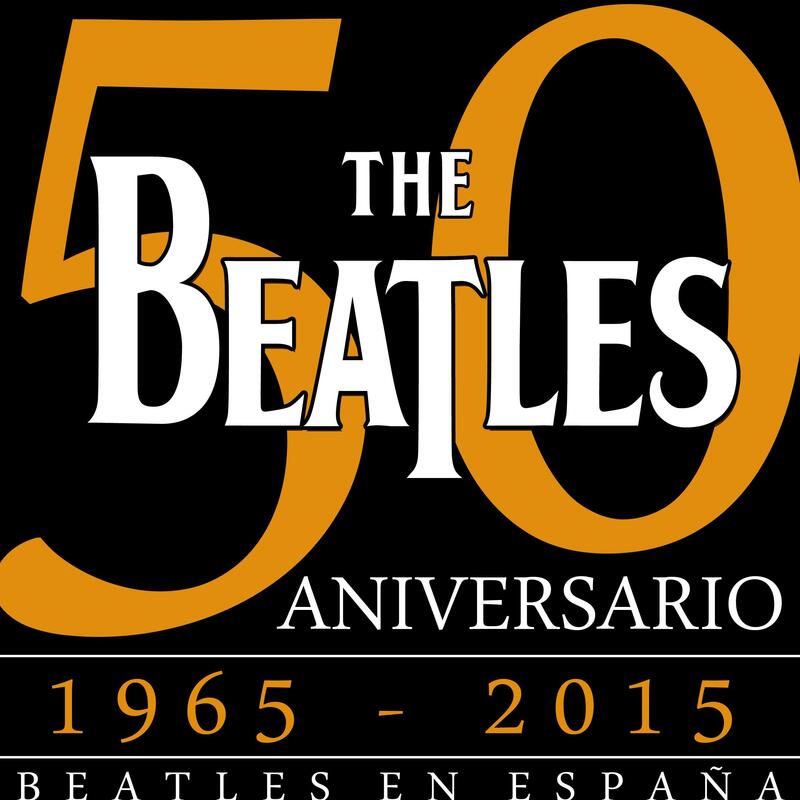 So when he steps out on-stage at Poble Espanyol next 20th June along with The Promise Of The Real they will deliver every song with such power and commitment it will exceed all our wildest expectations.